Amongst other things, Kevin has dedicated most of his working adult life to some of the world’s’ top kitchens across the US, Italy, Australia, and Toronto. 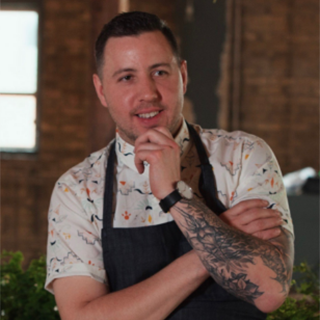 Sacrificing late night parties, bingo, and yoga, Kevin arose the ranks inside the kitchen hierarchy from sous chef, chef de cuisine, and later head chef before launching Provisions Catering and Events. Kevin later became head dishwasher, accountant, and finally took the reins of human resource manager to a group of emotionally eager cooks. Teaching the importance of cooking with the seasons and using quality ingredients, Kevin continues to push the company to new levels of success.